I give my heartfelt thanks for giving me a nose that I am proud to show off. For the whole of Grace’s fifty three years of life, she had dreamt of getting something done about her nose. However, life and children got in the way over the years. 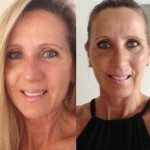 When she decided that it was finally time to take this life-changing step, she chose to undergo a rhinoplasty surgery at Samitivej Hospital with Dr. Montein. Here, in her own words, Grace tells the story of her incredible experience. I returned from Thailand with my two best souvenirs ever! 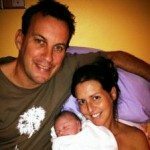 Susan is a forty one year old mother of three who travelled from New Zealand to Thailand for breast augmentation with plastic and reconstructive surgeon at Samitivej Hospital. It was my time at long last to realize my dream of having a good body. 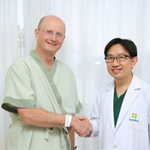 Georgia is a forty year old mother of two who travelled from New Zealand to Thailand for breast reduction and tummy tuck surgery with Dr. Pichit Siriwan, plastic and reconstructive surgeon at Samitivej Hospital. Living in Thailand and pregnant with twins, Rebekah Forester was under the attentive care of Dr. Sankiat at Samitivej Hospital when her world was suddenly turned upside down. 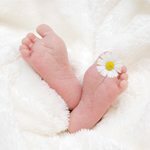 Just 28 weeks into the pregnancy, Rebekah unexpectedly went into labor. It all started with a classic PSA screening. Urged by relatives and my doctor (French GP), I went ahead and did the test. The result was borderline with PSA levels of 3ng/ml. Just in case, my doctor recommended I scheduled a visit with a specialist. 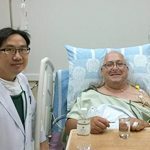 After a business trip from his station in Nigeria to Singapore, Canadian Engineer, Harold Janz, 56, travelled to Bangkok with his wife for a routine check-up at Samitivej Sukhumvit Hospital. It was one of the best decisions of his life. 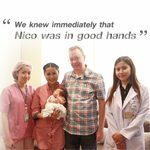 “We knew immediately that Nico was in good hands.” Stig Aas and Ajareeya Aas were on a trip from their home in Norway to visit Ajareeya’s family in Thailand when Ajareeva experienced some unexpected complications in her pregnancy. Despite my misgivings about midwifery in Thailand, there is one place where you can have a natural birth within a midwifery model of care. “If you want to have a healthy future – just do it. 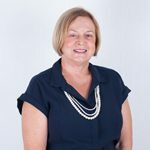 ” – Isabelle’s colonoscopy showed that 3 polyps were in her colon and potentially cancerous. However, through early detection, they were discovered and removed before reaching that stage.